The journey of a lifetime through South-Western China, Thailand, Laos, Cambodia & Vietnam, following the course of the mighty Mekong River. 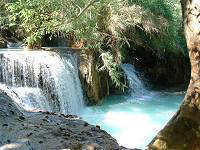 Arriving at Kunming airport, our Chinese representative will be at the airport to welcome you and transfer you to your hotel. Our afternoon city tour includes the famous Bamboo Temple dating back to the Tang dynasty with 500 colorful clay Buddhas and also the Taoist Golden Temple. Dinner this evening dinner is the famous local dish 'Mushroom Hotpot'. 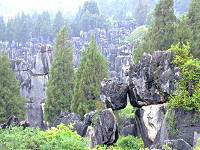 This morning visit Shilin's famous Stone Forest before stopping for lunch at a local restaurant for the fabulous local dish Yiliang Duck. 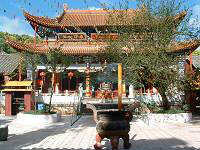 Return to Kunming and transfer to airport for the afternoon flight to Jinhong, then transfer to hotel. This's evenings dinner will be accompanied by folk dancing and singing by the local Dai people. 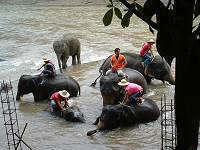 Today we visit Ganlanba, stopping at the morning market, water Dai villages, Burmese temple and rubber garden on the way. After lunch visit the biggest botanic garden in China at Menglun. Dinner at local restaurant. 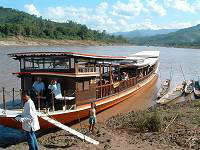 This morning transfer to pier to continue the journey by boat to Thailand on the Mekong River. 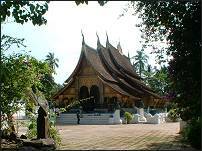 Arriving in Chiang Saen (Golden Triangle) at about 18:00, our Thai representative will be at the pier to welcome you, then drive to Chiang Rai and transfer you to your hotel. 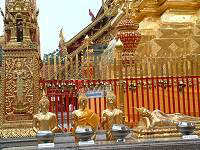 This morning we drive to Chiang Mai, visiting on the way Doi (Mountain) Suthep, about 3500 feet above sea level, and the most sacred Wat Prathad Doi Suthep where the marvellous Golden Pagoda is situated. From there you can enjoy the panoramic view of Chiangmai city. 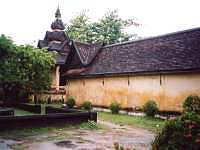 Upon arriving in Chiang Mai, check in at hotel. This evening's dinner is at the Chiangmai Cultural Center with traditional northern food and Thai dance performances. Today we visit an Elephant Camp (60 kms north of Chiangmai), watching elephants training and working, then take an elephant ride through foothills and jungle. After the ride we transfer by oxcart to restaurant for lunch. Afternoon trip by bamboo raft to visit an orchid nursery and butterfly farm before returning to Chiangmai. In the evening don't miss a stroll at the fascinating Night Bazaar in the city. 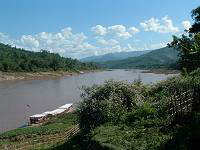 Today we set off for Vietnam by river. First transfer to pier for the boat on the Mekong River towards the Mekong Delta, Vietnam, stopping for immigration formalities at the border. On arriving at Chau Doc, our Vietnam guide will be at the pier to welcome you and transfer to your hotel. 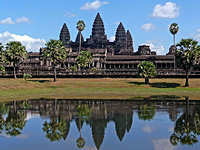 After lunch, a walking tour of market and then a drive up Sam Mountain to watch the sunset over the Cambodian border. Dinner at a local restaurant. 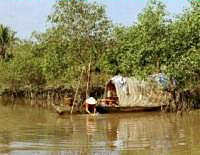 We travel from by boat from Chau Doc to Can Tho in the Mekong Delta. Upon arriving at Can Tho we check in at the hotel then go for lunch at a bonsai garden with speciality food - "Elephant's Ear" fish. After lunch, a motor-boat takes you along the Mekong river and follows small canals flowing sluggishly between banks of luxuriant vegetation to Cai Be floating market, one of the most typical floating markets of the Mekong Delta. 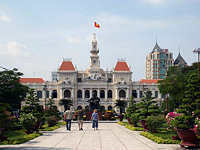 Drive to Ho Chi Minh City and transfer to your hotel. Afternoon at leisure. Evening dinner at local Vietnamese restaurant. This tour can also be shortened by omitting the early portions in China/Thailand.